Lynne Witte has completed the AuSable River Canoe Marathon a record 37 times. On the last Saturday of July, thousands line the AuSable River's banks in tiny Grayling, Michigan, anticipating the 9 p.m. start of the grueling, nonstop canoe race. Now in its 72nd year, the 120-mile AuSable River Canoe Marathon requires paddling 50-80 strokes a minute through the night and into the following day from Grayling to Oscoda, where the river meets Lake Huron. On a nearby street, two-person teams begin lining up in rows of five according to positions determined by time trials. A 64-year-old retired elementary school teacher, making her 39th start in the race, is among them. Lynne Witte, whose slight stature belies a giant competitive spirit, is intent on extending her record for most times finishing the race to 37, three more than anyone else -- male or female. Her partner this time is Fred Mills, also 64, who has 22 starts to his credit. A horn drowns out the roar of spectators and signals the start as competitors clutch their canoes and dash a quarter-mile to a boardwalk along the river's edge before entering the AuSable with a splash and jostling for position. Participants must portage canoes around six hydroelectric dams and paddle across several current-less ponds. Low-hanging trees, logs, stumps and shallow spots with rocks just below the surface add to the difficulty. Witte has not finished this race more often than anyone else without overcoming these challenges. But just over 90 minutes in, Witte and Mills collided with a sizable log and capsize in a deep section of the river. "It was like seeing that a train wreck is going to happen, but being powerless to do anything," she said. "We couldn't avoid it because there were so many canoes around us. Fred fell out first and I tried to keep the canoe from dumping me, but we both wound up swimming in a hole that was over our heads." Witte and Mills dropped from 48th place to 62nd place, but recovered and began picking off canoes in front of them despite having to change into dry clothes brought to the first portage (about 50 miles in) by their support team. "This was Fred's first time with me, but he has done the race many other times, so that experience and knowledge of the river helped us stay calm and steadily work our way back into it," Witte said. "I knew we were not going to be the fastest, but we were going to finish in a respectable time." 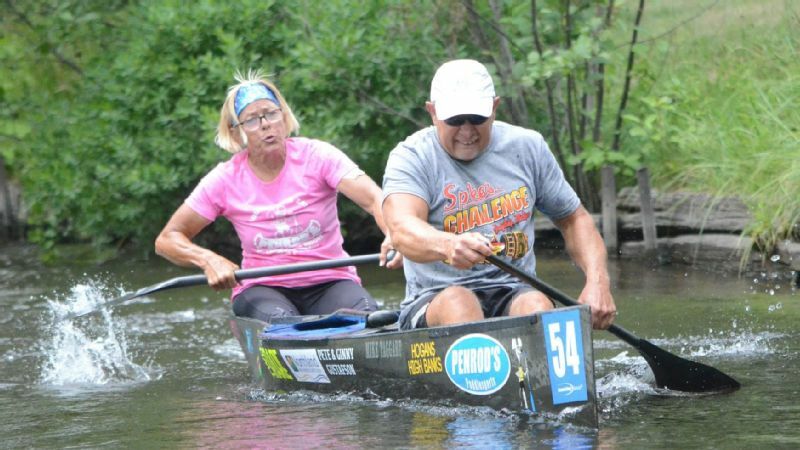 Witte and Mills, who had the third-highest combined age in the field, did just that, placing 50th in a field of 84 canoes in 17 hours, 15 minutes and 31 seconds. They reached Oscoda just after 2:15 p.m. on Sunday, July 29. The race has always started just before dark because the original organizers wanted to add to its challenges and ensure that participants finish during daylight. "I thought I would try the marathon one time just to experience it, but after that first time (in 1980), I loved it and could not let go," she said. "I still love taking on the challenge and I am still looking for ways I can improve from the previous race." Witte, whose 39 straight starts are also a record, has failed to finish only twice, both times due to hypothermia. In 1994, her partner was stricken and in 2013 it was Witte herself. 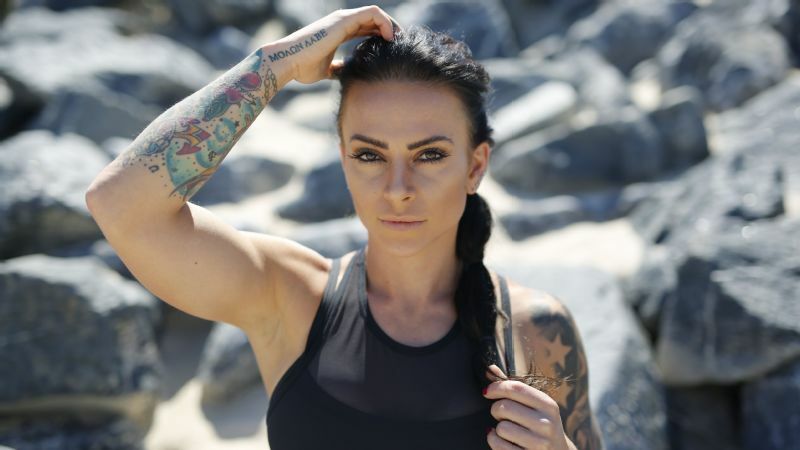 "Staying hydrated and healthy is always the biggest challenge," said Witte, who subsisted on powdered energy drinks, nutritional shakes and peanut butter and jelly sandwiches this year. "Weather can play a role, too. I've paddled through a tornado warning, intense lightning and driving rainstorms. Another year, strong winds blew over the finish-line clock." Witte holds records for women's division wins (11), partners competed with (32) and number of top-10 appearances by a woman (five). No other woman has made the top 10 more than once. Witte has also been the mixed-division winner five times. "Lynne shows up each year prepared, determined, and confident and has a tenacity that shouldn't be underestimated," said Rebecca Davis, who set the race's women's record (15:17:39) with Edith MacHattie in 2017. "She reads the river very well and knows how to react to things. She makes smart decisions and knows how to pace the race." Witte, also president of the Michigan Canoe Racing Association, has been around the sport her entire life. Growing up in Lexington on the shore of Lake Huron in Michigan's Thumb, Witte watched her father build canoes for use in the AuSable River Canoe Marathon and made her first trip to the race when she was in grade school. Witte entered her first canoe race at age 18 with her brother before contesting the AuSable Marathon for the first time eight years later with then-husband Ken. "One of the race directors at the time remembered me from when I was at the race with Dad and convinced me to try it," Witte said. "I think we barely finished in 19 hours and I learned it's much more difficult than it looks. 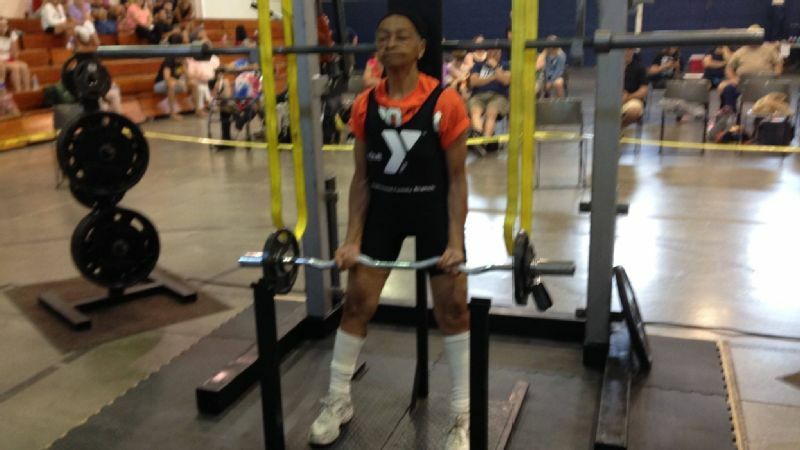 I realized I needed to train more." Better training yielded better results as Witte won the mixed division and finished in the top 10 overall five times between 1984-92. Her best showing came in 1988 when Witte and Jim Myers finished fourth, setting a mixed-division record (15:05:26) that stood for 29 years. Lynne Witte spends the colder months competing in dogsled races.
" I think the biggest thing is that she is just a fan of the race," said Steve Southard, who has been involved in organizing the AuSable Marathon since 1979. "What keeps her motivated is a great love for the event. Lynne also really stood out in her early years as a kind of a trailblazer when female competitors were few and far between." Clearly, the stereotypical retiree's life is not for Witte. Come late fall, the McMillan, Michigan, resident will swap her canoe for a dogsled, racing against younger competition in that sport as well. Witte is believed to be the only woman to complete both the AuSable River Canoe Marathon and the 300-mile Yukon Quest dogsled race. Last January, she was the top rookie (but oldest) finisher in the 180-mile Beargrease Sled Dog Marathon in Duluth, Minnesota, placing 10th. 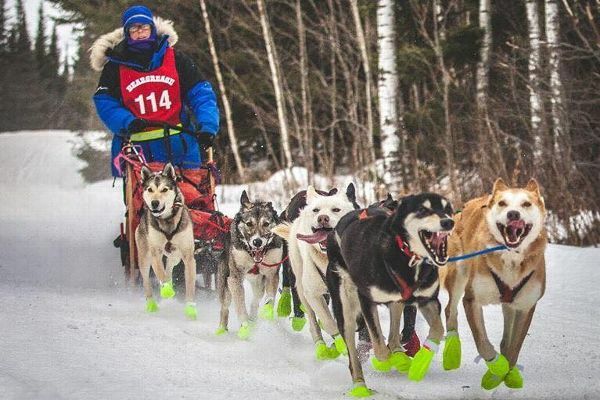 She enters more than 20 canoe and dogsled races per year, preferring sore shoulders or a frozen face to kicking up her feet and relaxing. Bill Torongo, a top-10 finisher in 19 of his 34 AuSable River Canoe Marathons, can attest to Witte's grit. "Lynne is a tough one," he said. "We have not raced together yet, but I have paddled with her. The first time we did, I decided to crank the stroke rate up to about 90 per minute and see how she liked that. Well, Lynne picked me up perfectly and it felt like we were flying." Next July, Witte will again line up on a Grayling street, canoe in hand, as dusk rolls in ready to dash to the AuSable for a 40th time. After all, there are more records to chase. 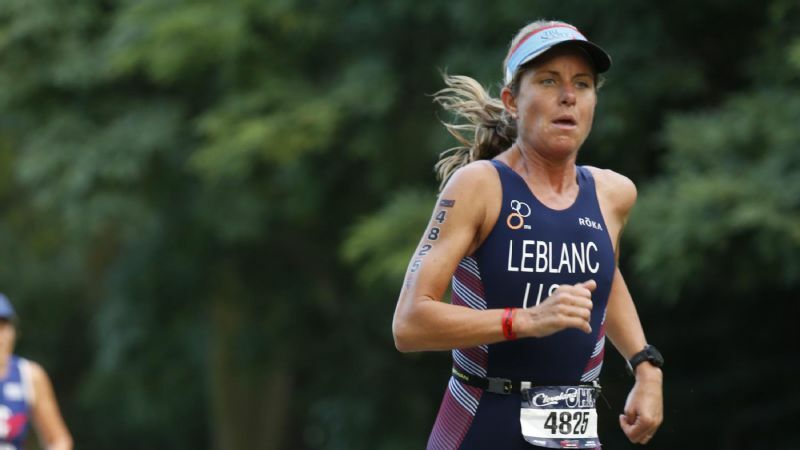 "What keeps me going is that I always come away from my last race feeling like I could have done better and eager to get back to work," she said. "There is usually unfinished business on my mind."